As Mars, planet of passion and the warrior planet of the cosmos leaves your income sector today he not only brings his own 6 week visit to an end, but all the planetary activity for the year. Apart from the Moon's monthly visits you're on your own and with so much still left to unfold on the work and career fronts it's not only important to hold onto a sense of entitlement, but the fighting spirit he leaves you with. Yet this doesn't mean income opportunities will dry up, with Mars leaving you with enough untapped potential to give the professional gods plenty to work with. 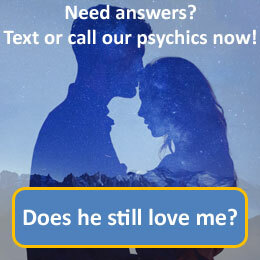 Call 09069 669 603 for a more detailed reading with our psychics today. Gemini, the twins, is the third sign of the zodiac. In astrology, Gemini is considered a "masculine", positive (extrovert) sign. It is also considered an air sign, and is one of four mutable signs. Gemini has been closely associated with the planet Mercury and is considered to be ruled by it. Many believe that physically, individuals born with an ascendant of Gemini tend to have a straight and narrow nose, long limbs, a well-proportioned chin, high cheekbones, pointy features, a wide mouth and long fingers. They are very lean and tend to be somewhat tall and lanky. Gemini eyes are like two beams of light which express a rather electrical quality as they dart from one object to another. Traits of the Gemini include good communication, wit and charm. Although they are youthful and creative they can show signs of being 'two-faced', fickle and restless.